Our baby girl, Eloise, turns one today, October 29th. That first birthday is so bittersweet for me. This year has been the most challenging for our little family of five. Just learning how to take care of three really little kids on very little sleep and basically just trying to keep our heads above water as the busyness of life throws you for all sorts of loops. But it has also been the most amazing year. Eloise is such a gift from God. Her joy, her smiles and her sweetness are simply contagious. She has taught us so much. We have gotten the joy of watching her older brother and sister just become smitten with her. They love their baby sister so much. So as she turns one, I celebrate with her that we made it through this year and all that God has ahead for her – but I am, selfishly, so sad to watch her grow out of being such a tiny baby at the same time. 1. Mix the coconut oil and maple syrup together in the mixer until creamed together. I didn’t melt my coconut oil beforehand, but it was pretty soft. I used the medium setting on my mixer and let it go for about 5 minutes. 2. Add the vanilla and cinnamon and mix until just blended. 3. Frost your cupcakes or muffins and enjoy. Mine kept fine in the fridge, too. This recipe frosts 24 cupcakes, with a little bit left over. 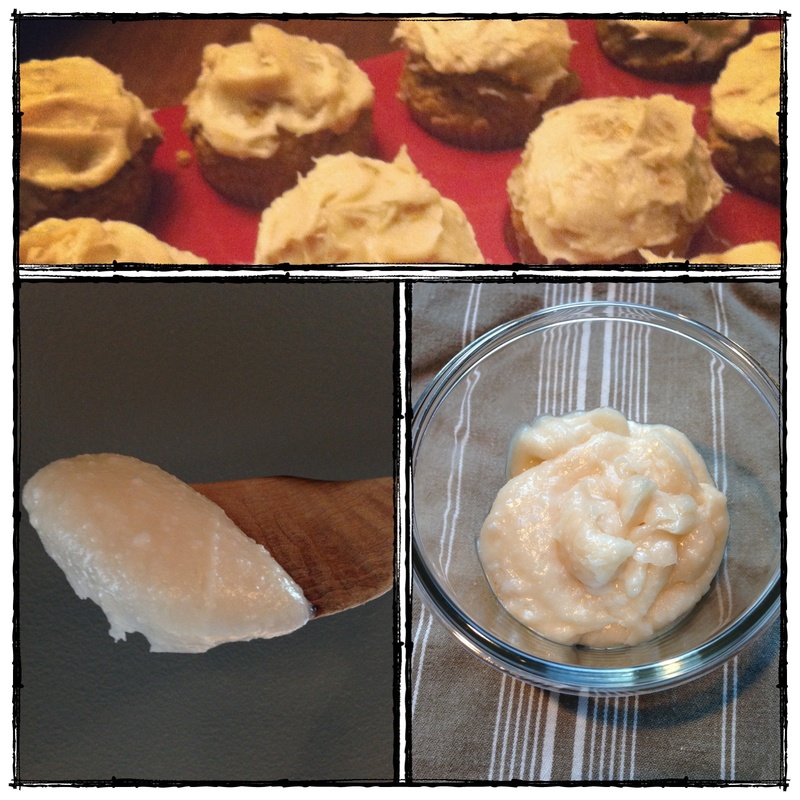 This entry was posted in Gluten Free, Paleo, Sweets + Treats, Vegetarian and tagged coconut oil, evan, maple by Flax + Honey. Bookmark the permalink.